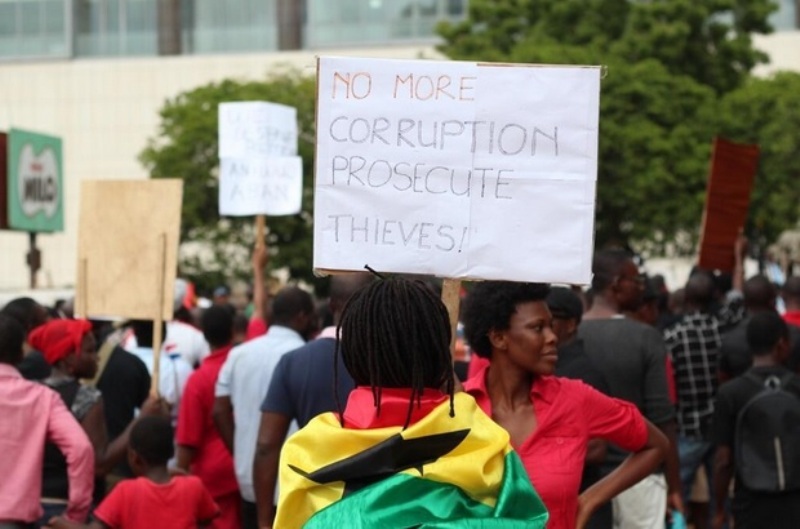 Over 300 protesters are charging to the Flagstaff House in an unprecedented march armed with a common theme summed up in a protester’s placard “the King is naked”. A protester and founder of Energy Solutions Foundation Golda Addo’s told Joy Fm’s Super Morning Show “the King thinks that he is in fancy clothes but the king is naked. Nobody is telling him the truth”. 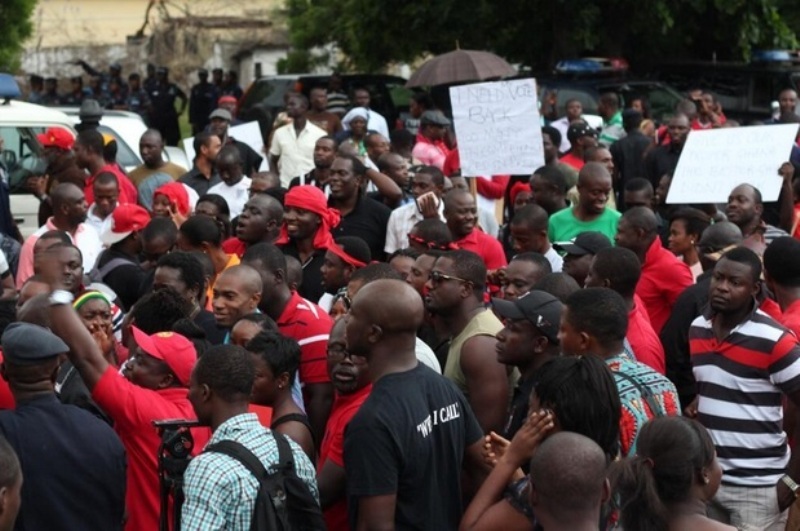 The non-partisan group calling itself Concerned Ghanaians for Responsible Governance (CGRG) is marching to petition President John Mahama on what it said, has been the worsening economic conditions in the country. 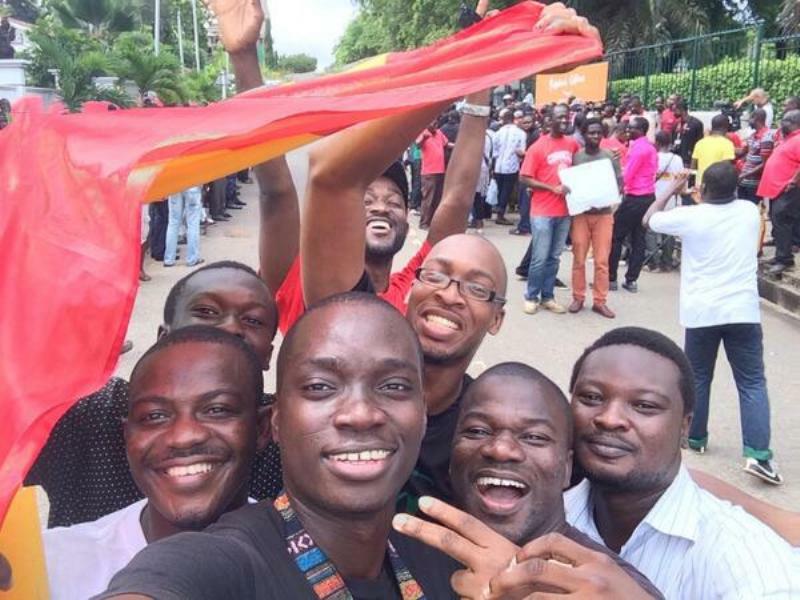 Dubbed ‘Occupy Flagstaff House’, the organizers say every Ghanaian deserves to be happy and are tired of talking about hardship on social media. 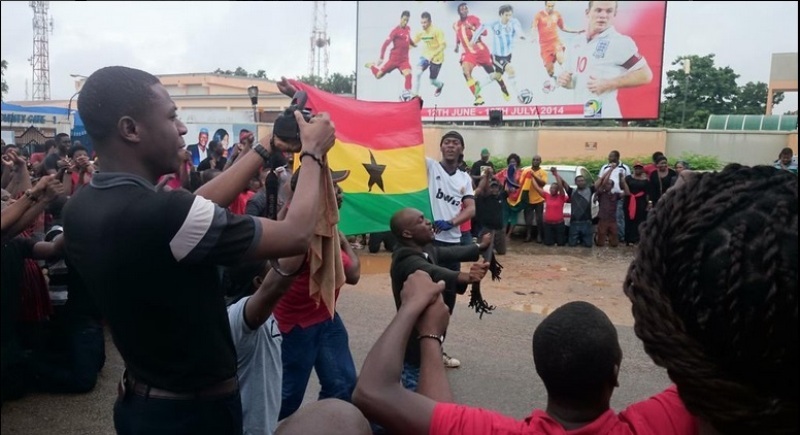 It is timed to coincide with the celebration of Ghana’s 54th Republic Day, July 1 – the day that the country totally weaned itself from British Colonial rule. 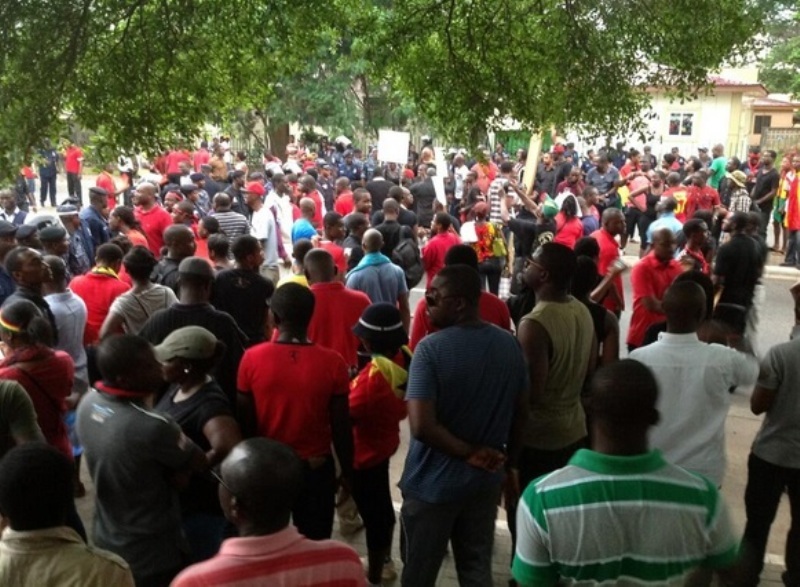 About 50 Ghanaians quickly gathered a steam of 300 and pitched camp at the Efua Sunderland Children’s Park to march to the Flagstaff House. A protester tasked the President to wake up to his responsibilities. 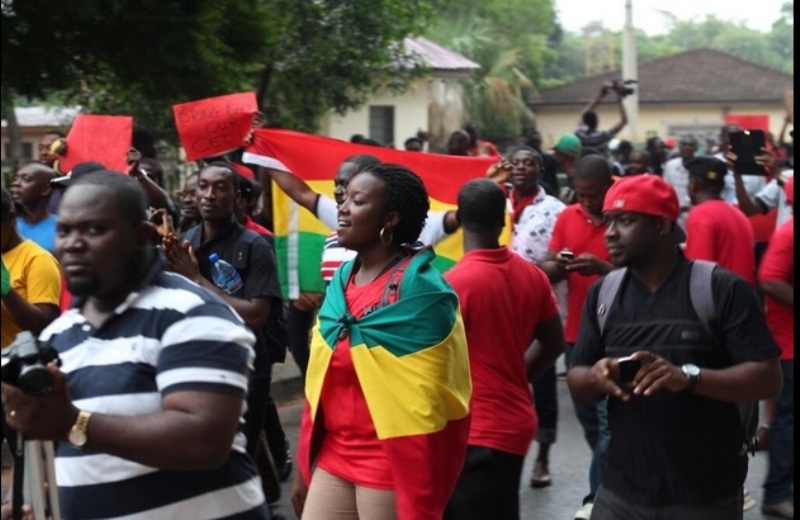 “Ghana is not a complex situation”, she argued. Other countries like India was more difficult to manage she maintained. She called on the President to “sack people for doing the wrong thing. People are so used to consequences for bad behaviour”. A former winner of the Miss Ghana Pagent, Bridgette said she couldn’t take any more “nonsense”. She is “angry” and” hungry” after she couldn’t get fuel for her car, power to keep her phone charged and her food preserved. 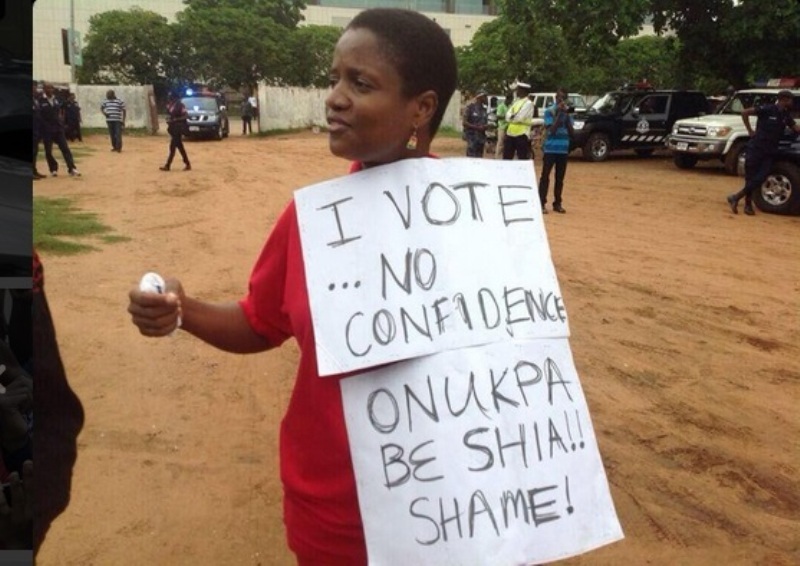 She lashed out on facebook last Monday and decided to join the protesters. Organiser Ebo Sam said he was delighted with the numbers. Many of the protesters believe thedemonstration is about the quality of the number and not the quantity. 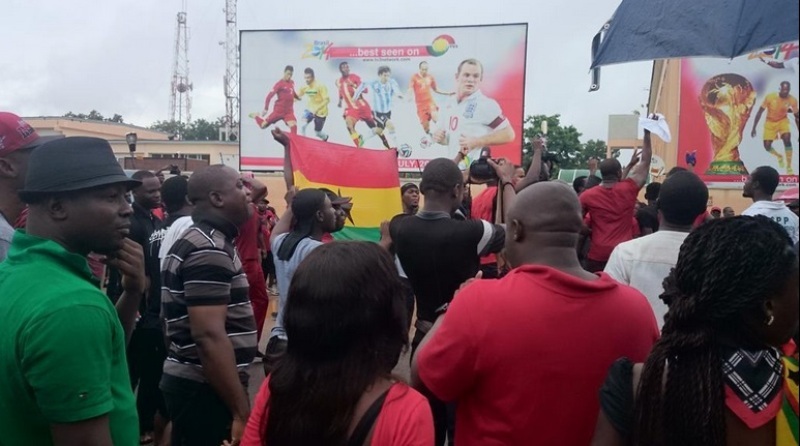 They branded themselves Ghana’s critical mass. 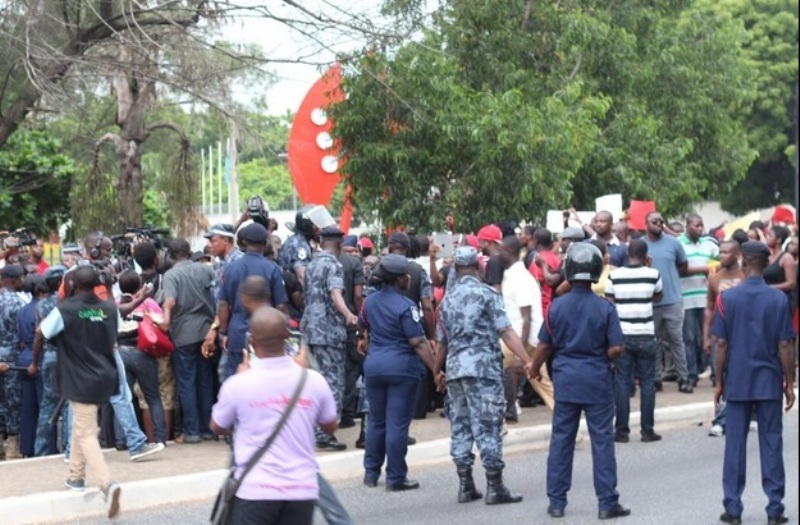 The Police say the decision to allow three protesters to walk into the FlagstaffHouse deemed a security zone is unprecedented.”It has never happened before that we should take people to the seat of government…we can break a small protocol to allow them”, DSP. 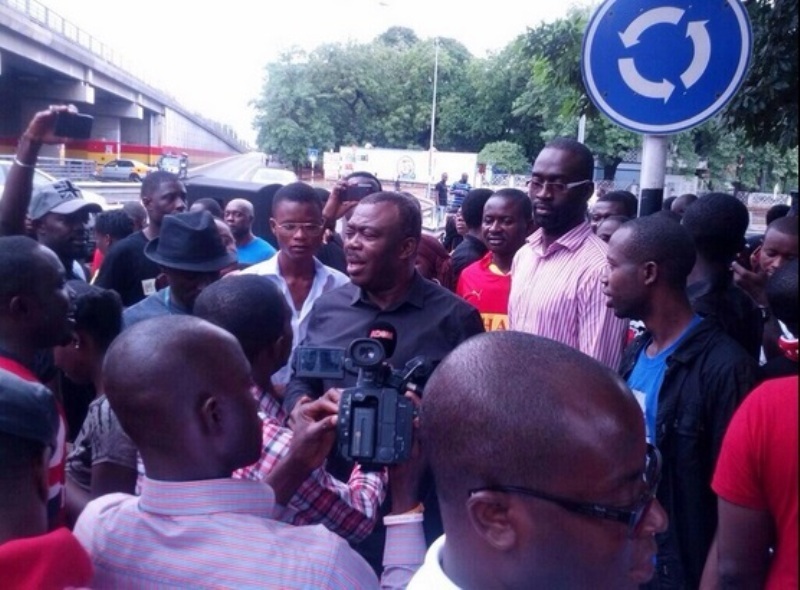 The demonstration initially disallowed by GhanaPolice Service comes off after government okayed the march. The police argued the force will be stretched to provide security in public places as Republic Day. 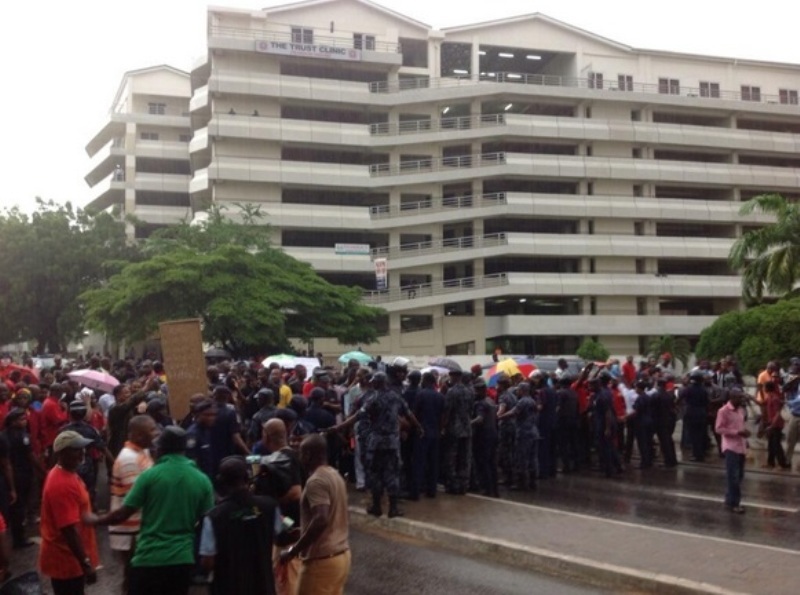 They also were reluctant because the Flagstaff House is a security zone. “why not? we can break a small protocol to allow them”, DSP said. #OccupyFlagstaffHouse PHOTOS: How Ghanaians petitioned President Mahama on worsening economic conditions 0 out of 5 based on 0 ratings. 0 user reviews.